Your car is a big investment, so it is important to provide it with the routine maintenance it needs to continue running well for years and years. It may seem strange to have to pay to have a car that seems to be running well serviced, but by spending a little now, you can save a lot down the road over the cost of towing and repairs. At Auto Check we provide factory auto maintenance in Katy for all makes and models. 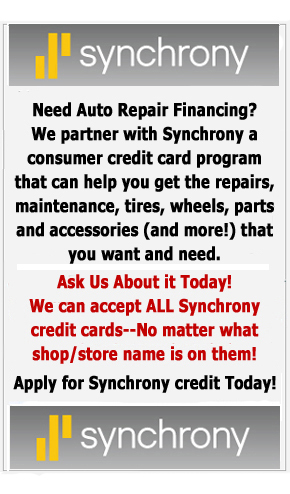 Give us a call when your car is due and we will be happy to conduct any of the following services and more! The most frequent service your car will require is an oil change. The engine relies on fresh motor oil to keep its moving parts properly lubricated to prevent harsh metal on metal friction. Most vehicles require this service every 3,000 to 5,000 miles, but check your owner's manual to see how often your car, truck or SUV requires it. From time to time you may find that your car is not running quite right. This may not indicate a serious problem, but it could need some simple maintenance to restore its performance and fuel efficiency. Tune up services often include changing spark plugs or installing a new air filter and fuel filter. Your vehicle uses a number of fluids to operate its various systems. Fluid flush services must be completed to ensure the systems are free of contaminants. This includes a cooling system flush, brake fluid flush, differential flush and power steering flush. The transmission requires routine maintenance as well. Transmission maintenance generally includes draining the transmission fluid, removing and cleaning the transmission pan, installing a new transmission filter, if applicable, and reinstalling the pan with a new gasket before refilling with fresh transmission fluid. Belts and hoses used under the hood of your car suffer from routine wear and tear. It is important to replace them at the proper mileage intervals to ensure they don't fail. There are many other services your car requires, often at 30,000 mile intervals, hence the name 30/60/90K service. This includes safety checks, computer diagnostics and more. Do not put off routine services! If you do you will soon suffer from breakdowns and find yourself facing expensive repair bills. The next time your car is due for service call Auto Check at (281) 815-2351 to make an appointment for expert auto maintenance in Katy. "I have used this facility for my family's vehicles ever since they opened. Always pleased." "Friendly customer service, honest, fair pricing"
"I like this shop. They are always friendly, explain services in detail, and they don't make up services to perform if they can't find anything wrong with the vehicle. They also provide a shuttle service if you live close by so you don't have to wait at the shop if your vehicle is going to be there a while. I've recommended them to several people."